TAIPEI - Taiwan this month mobilised hundreds of marines for its largest military exercise since 2000 near disputed islands in the South China Sea, a legislator said Monday. 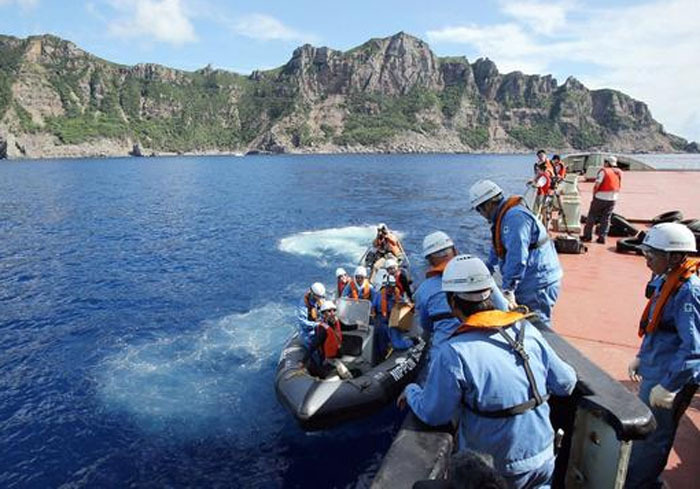 Lin Yu-fang said the landing drill was held on the Taiwan-administered island of Taiping, part of the Spratlys - a chain which is also claimed in whole or in part by China, Vietnam, Malaysia, the Philippines and Brunei. Lin, a member of parliament's defence and diplomacy committee, said the task force from two marine companies, armed with mortars and anti-tank rockets, boarded some 20 amphibious assault vehicles for the landing on Taiping on April 10. A naval fleet of seven Lafayette-class and Perry-class frigates as well as tank landing ships were mobilised for the drill which practised retaking the islet after it was seized by invading troops, he said in a statement. "This was the biggest naval gathering near the islet since 2000 when the marines were replaced by coastguards," Lin said after a closed-door committee meeting. "This was also the first time since then that regular troops stepped on the islet," he said, describing the drill as "of special significance". Defence ministry spokesman David Lo confirmed the exercise but gave no details. Taiping island is currently guarded by a 130-strong coastguard. 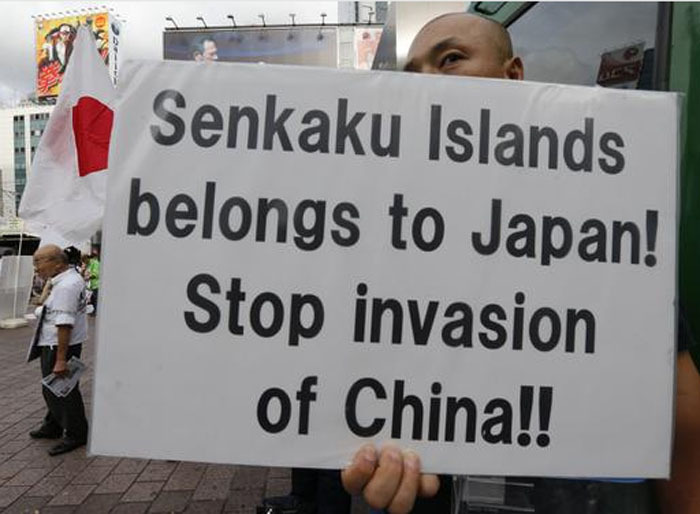 All claimants to the Spratlys, apart from Brunei and Taiwan, have troops based on the archipelago of more than 100 islets, reefs and atolls, which cover a vast area but have a total land mass of less than five square kilometres (two square miles). The potentially resource-rich sea, home to important trade routes, is a potential military flashpoint. There have been a series of diplomatic rows between countries with overlapping territorial claims in recent years. The Philippines and Vietnam have complained that China is becoming increasingly aggressive in its actions in the area - such as harassing fishermen - and also through bullying diplomatic tactics. Taiwan has strengthened its defence capabilities in the disputed area, including expanding a pier and deploying long-range artillery and mortars. 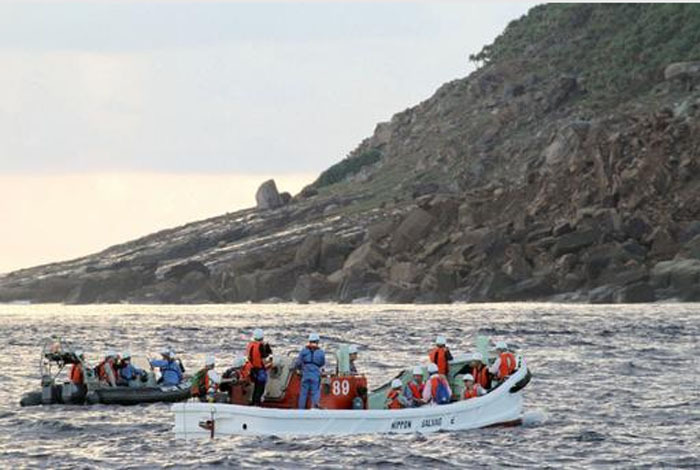 The city of government of Tokyo's survey vessel sails around the Senkaku or Diaoyu in the East China Sea. China moved to impose new rules on airspace over islands in Nov 2013, at the heart of the territorial dispute. 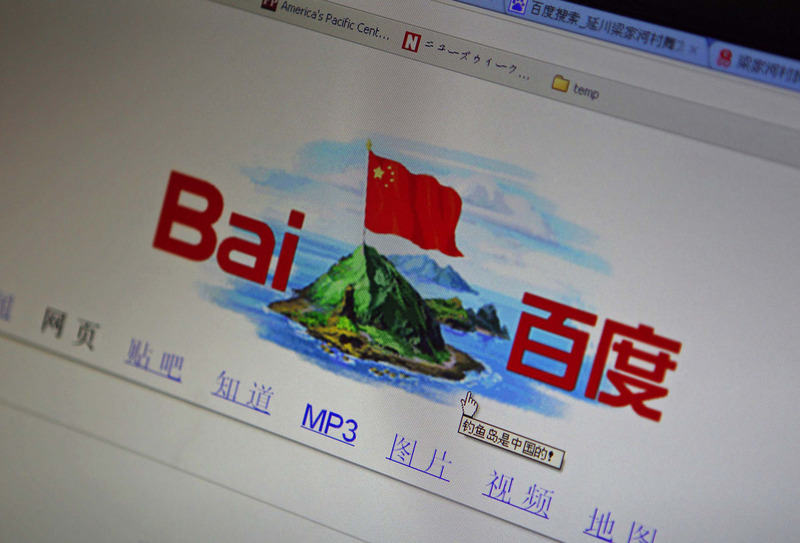 A graphic depicting the Chinese national flag flying atop the disputed islands on the front page of Chinese search engine website Baidu in this Sept 2012 file photo. 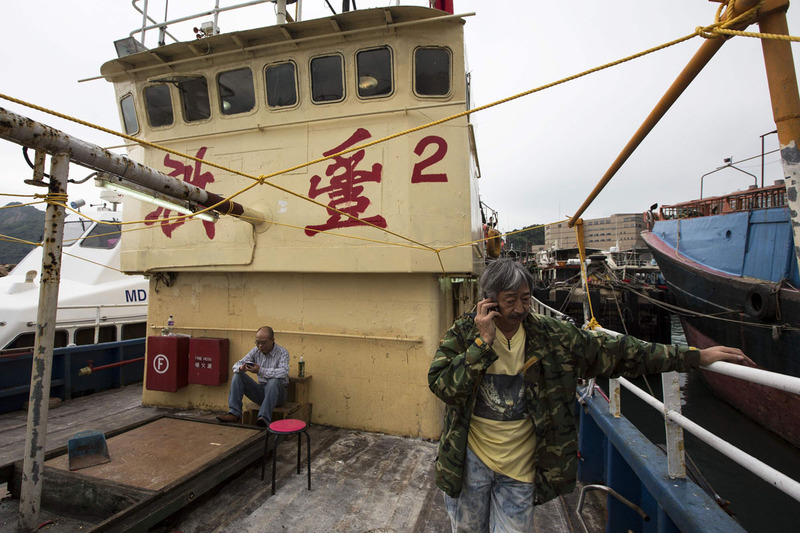 Hong Kong activist Lo Chau, owner of fishing vessel Kai Fung No 2, talks on his phone before departing for the disputed islands. 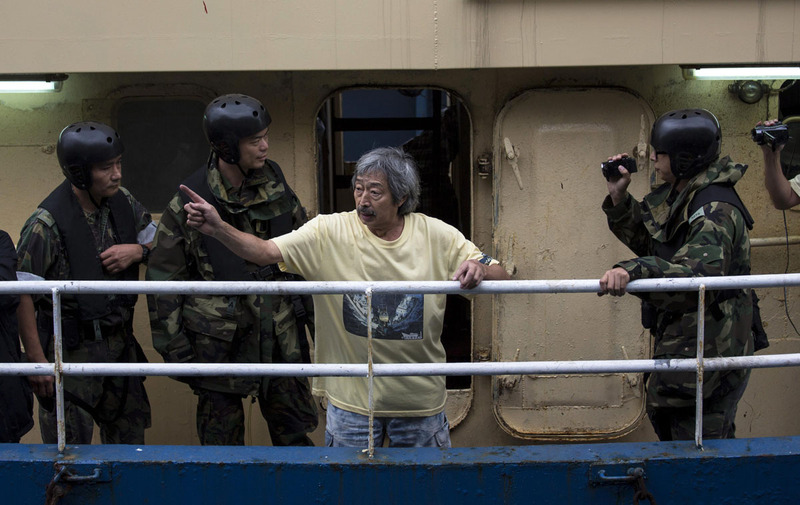 Lo Chau argues with police as he and his crew attempt to leave Hong Kong for Diaoyu islands. He was eventually denied permission to leave Hong Kong waters. 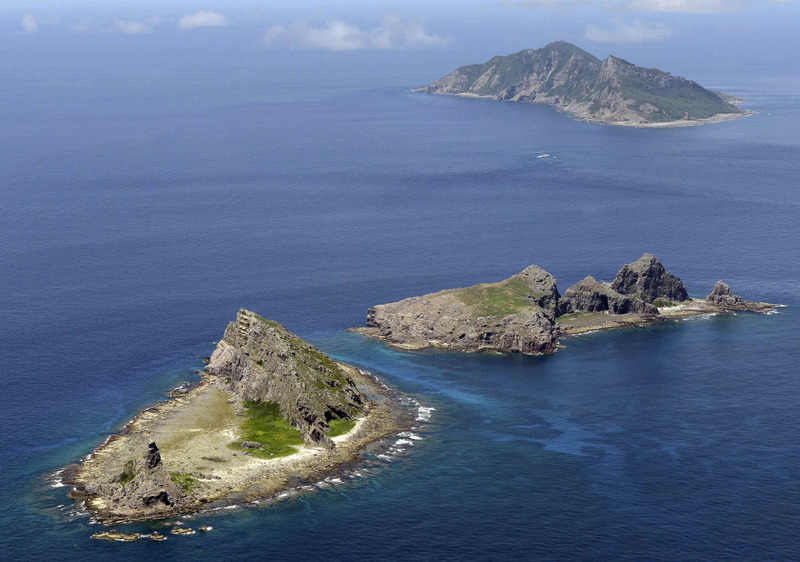 The group of disputed islands, Uotsuri island (top), Minamikojima (bottom) and Kitakojima, in the East China Sea, Sept 2012. 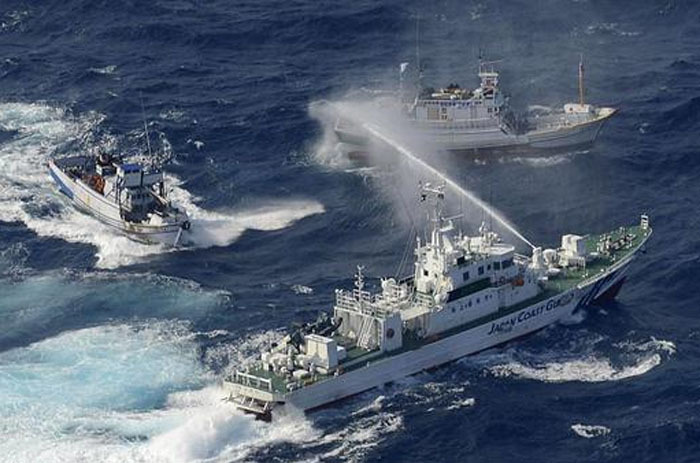 A Japan Coast Guard patrol ship spraying water at a fishing boat that is carrying Taiwanese activists 32km west-southwest from the disputed islands. 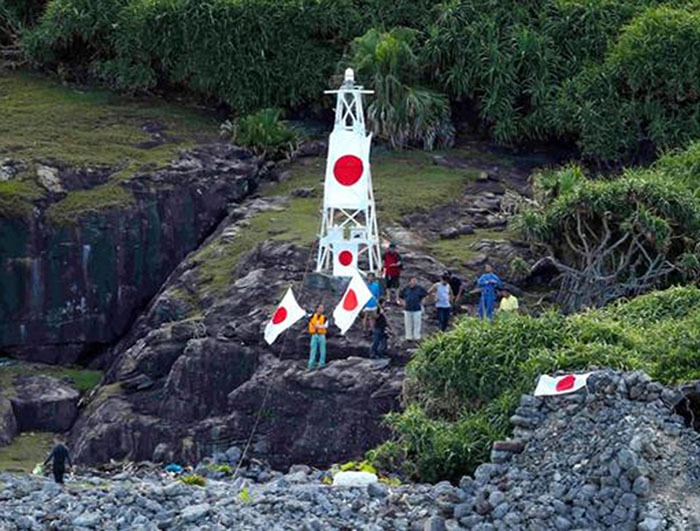 Japanese nationalists from the right-wing group Gambare Nippon waving the national flag in front of a lighthouse on a disputed island, after swimming ashore from a flotilla carrying activists and lawmakers. 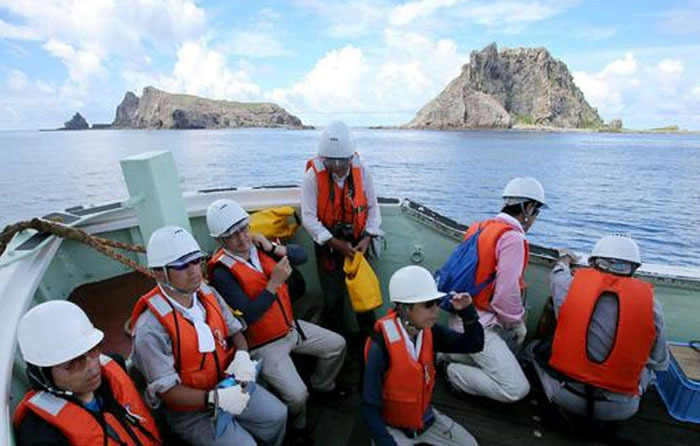 On Sept 2, 2012, a team of Japanese surveyors board a rubber boat to head to an island on the disputed chain. Tokyo governor Shintaro Ishihara dispatched the team to survey the shoreline and waters around the rocky uninhabited isles. 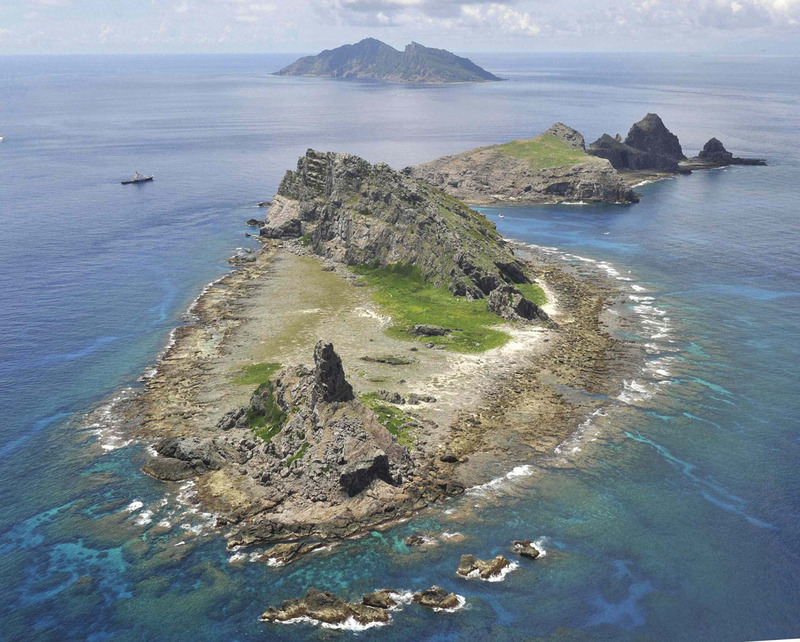 Japan agreed to buy the group of islands for USD 26 million, a move that is likely to irk Beijing on Sept 5, 2012. 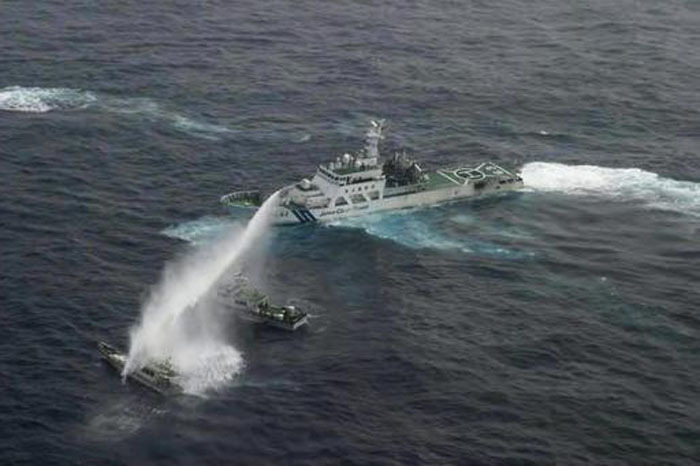 Coastguard vessels from Japan and Taiwan duelled with water cannons after dozens of Taiwanese boats escorted by patrol ships sailed into waters around the Tokyo-controlled islands. 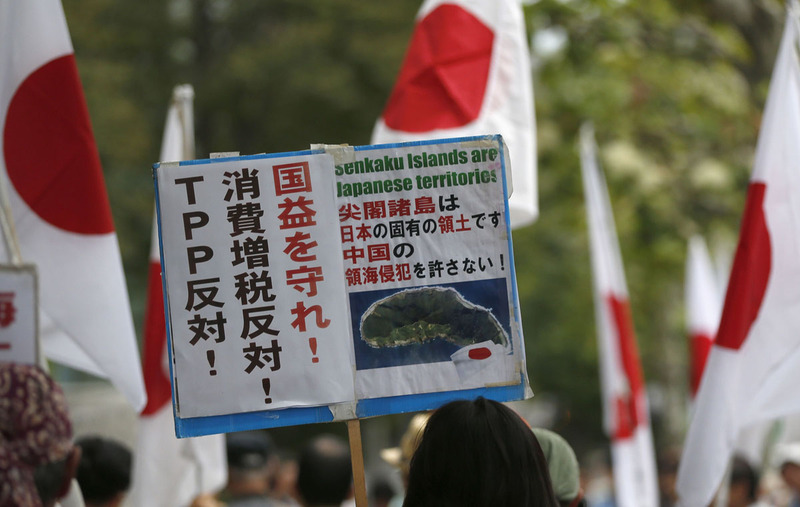 A man holds a banner at an anti-China rally in Tokyo on Sept 18, 2012.